I cannot count the many times I have been on an elevator. My experiences have varied. Sometimes, the ride was so smooth that it felt as though the elevator never moved. Other times, I cannot wait to get off due to the uncertainty of the ride! But, when I get on an elevator while someone else is already there, they will ask me the question, “What floor?” Since I know where I’m going, I can confidently give the floor with hesitation. When I arrive on the floor, I don’t second guess. I get off the elevator ready to place my feet on that level. I’ve been thinking about my real-life elevator experiences as it pertains to our lives. When we are called to elevate, do we know what level we’re ready for? 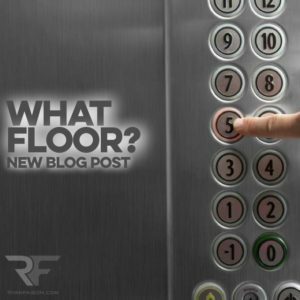 If someone was to ask us, “what floor?”, do we know what to say? In my counseling and casual conversation, the topic of feeling stuck or not moving inevitably is discussed. In those conversations, it becomes glaringly apparent that most of our frustrations is not the lack of passion to elevate to a new level. It’s the questioning if we are ready to move and take on the responsibility for that level. This blog post serves as a challenge. You are not meant to be satisfied with mediocrity or the status quo. The call to elevate is wooing each of us. It’s to champion a cause greater than ourselves. It’s to seize opportunities that affect life-change. It’s to make an indelible mark on a generation accustomed to fleeting moments. Even at my church (Christ Church), we have an event called ELEVATE for kids, teens, singles/young adults and married couples. There is a recognition that our lives are meant to have a greater impact than we are currently experiencing. I encourage you to even be a part of that time — go to www.ElevateFamilyConference.org for more information on the event and how to register. Ultimately, we are all called to elevate and move to the next level of maturity, growth and development. The question remains — what floor? In other words, what level are you ready to occupy? If you don’t know the answer to this question, it’s no time to sit in shame or condemnation. Rather, it’s time to pray for insight, seek wise counsel and reflect upon where you are and where you desire to be. 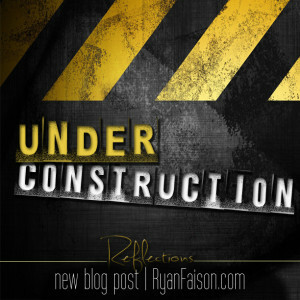 http://ryanfaison.com/wp-content/uploads/2016/03/RF_Color-Logo-02-1030x705.png 0 0 Ryan Faison http://ryanfaison.com/wp-content/uploads/2016/03/RF_Color-Logo-02-1030x705.png Ryan Faison2016-07-22 16:14:142016-07-22 16:35:17What Floor? 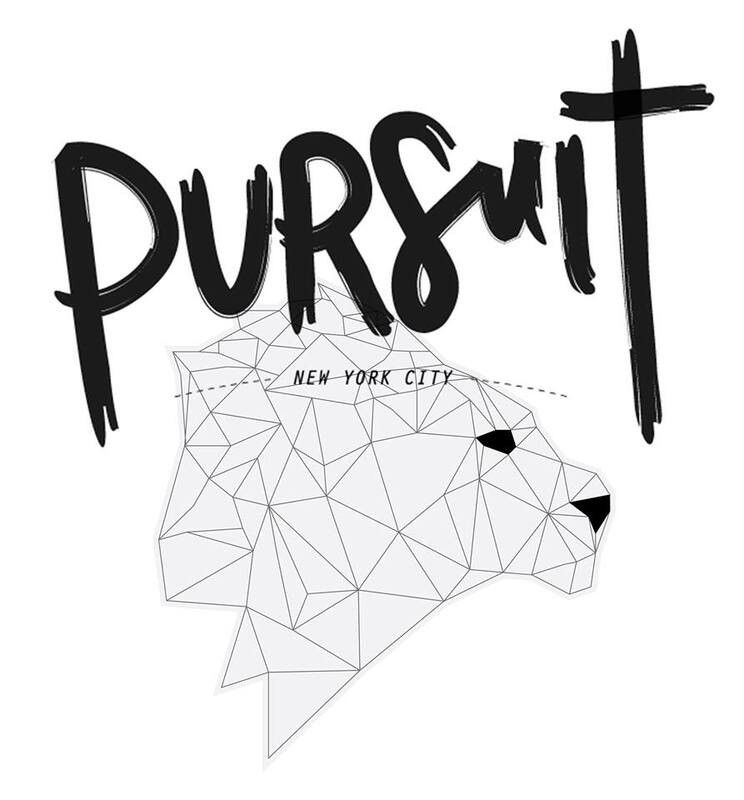 Check out the new Pursuit NYC podcast // Episode 24. Sam Won and I share on leadership, character and lessons learned along the way. http://ryanfaison.com/wp-content/uploads/2016/03/RF_Color-Logo-02-1030x705.png 0 0 Ryan Faison http://ryanfaison.com/wp-content/uploads/2016/03/RF_Color-Logo-02-1030x705.png Ryan Faison2016-04-21 12:36:512016-04-21 12:50:19Pursuit NYC Podcast Available Now! 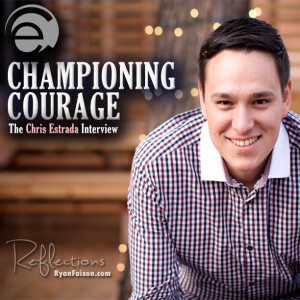 As a part of the REFlections Interview Series, I’m honored to present an interview that speaks to the successes and challenges of ministry and our life of faith in Christ. As one of the emerging voices in our generation, Ken Hester has proven through word and deed that his faith in God is real! 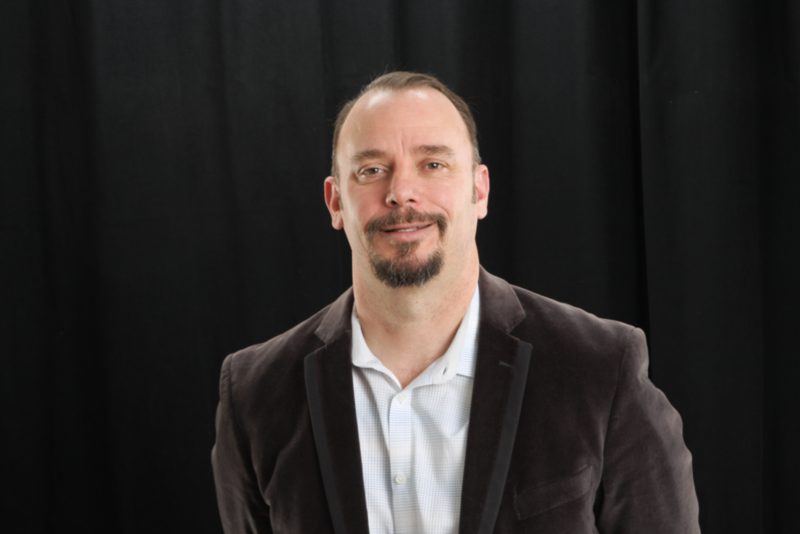 Ken is the campus pastor at Elevation Church, overseeing the Gaston campus in Gastonia, North Carolina. I became acquainted with Ken about 6 years ago when he was the College Pastor at Crossroads Fellowship in Raleigh, North Carolina. Presently, as an Elevation Church campus pastor, Ken shared some of the lessons he’s learned along the way. It’s my prayer that this interview blesses you like it blessed me. Thank you Ken for sharing! 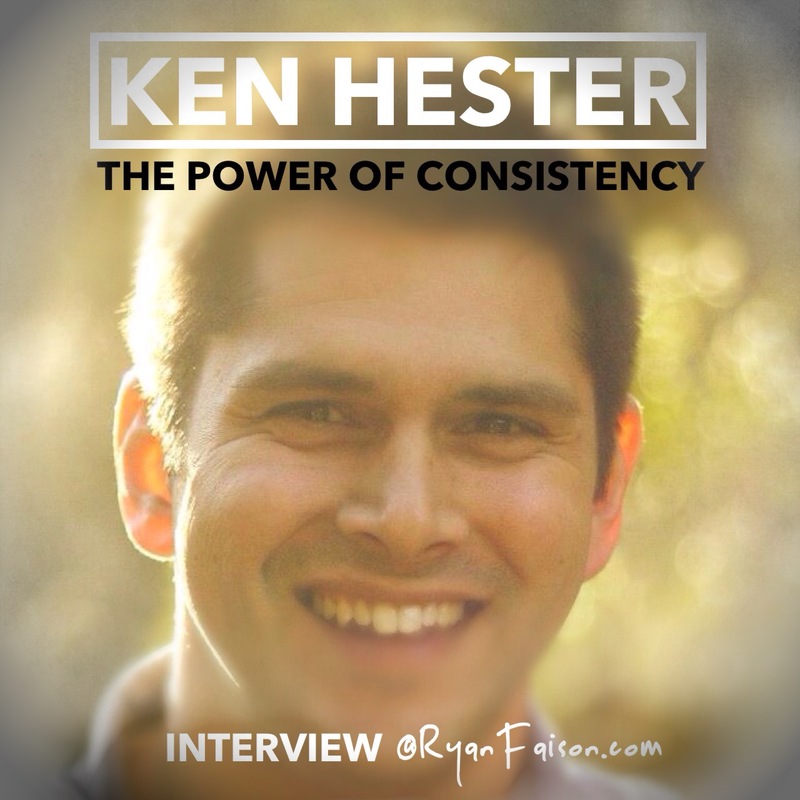 RF: If I had to describe Ken Hester, how would you want me to describe you? KH: A passionate leader. I’m not afraid of change (and I could be accused of embracing too much of it)! I like fun stuff and I’m certainly a thrill seeker. I’m a husband. This year on June 2nd, my wife and I will celebrate 8 years of marriage. I’m a coach. I’ve enjoyed my experiences as a basketball coach over the years and even thought it would be my career. I’m a pastor. As a thrill-seeker, it is awesome that every weekend, GOD WINS! Jesus is #1 on the scoreboard! There’s salvations and baptisms every week. This is my greatest joy. RF: In this season of your life, what is the most rewarding? KH: Rewarding for me is that my staff, leaders and volunteers feel cared for. I find my reward in the great consistency rather than the great moments. We often times celebrate the moment rather than the consistency. Christ celebrates the consistency. In the NBA Playoffs, Derrick Rose hit a major shot but lost the playoffs. It may be SportsCenter moment, but we may dismiss the team’s consistent effort. The same thing applies to our spiritual life. When I see a congregation consistent in giving, serving and loving, this is my greatest reward. RF: Consistency is important to you. How do you value this in your life? KH: I value it but working on the discipline of consistency. I tried to find a formula for devotion before God. What I realized that for me its one Scripture (maybe two), praying specifically that God reveals Himself in that Scripture, worship in my car (blasting worship in my car for 20-30 minutes), praying on my way home. I realized over the years that it’s not about a formula, but a relationship. I desire to be consistent in that area of my life. RF: What would you say to someone who is focused on “formulas”? KH: It’s about how God is stretching your faith, not a set formula. Too often, our culture is focused on calculated risk. Faith is “I’m jumping out an airplane and I don’t have a parachute but I know God will catch me!” I’m encouraged by a couple of folks in our apprenticeship program. One apprentice moved from South Africa to serve in Gastonia, North Carolina to be a part of what God is doing. That faith inspires my faith. Another couple just recently got married and moved from Sacramento, California to serve here at Elevation. This is the faith that is demonstrated in the Bible. I need to be challenged in faith. I encourage others to look for everyday faith. If God did it before, He can do it again! RF: What’s the most challenging area of your life? KH: One of the most challenging areas on my life (and my wife) is regarding family. We are beginning to share more and more about it with others. We’re been trying to start a family for five years. To say its been a struggle is an understatement. You get a monthly reminder that God has not chosen you to have a family yet. What have you tried for five years and still not seeing fruit from? Not many things. If you go to school for years, you received a degree. We’ve been trying to have a family for five years and haven’t seen that reward yet. It challenges our faith. We’re mad and hopeful. An array of emotions. What’s challenging for us is to remember that God’s promises never return void. When all you see is void — it can be a direct challenge to your faith. We’re reminded of Abraham. I hope I don’t have to wait 35+ years (lol), but we trust in God’s promise to have a family. We can’t see it now, but it doesn’t mean it won’t happen. RF: How do you minister to your wife during this challenging season? KH: Supporting my wife in the small things makes the difference. It’s not only about extravagant gifts. It’s praying for my wife when she’s not aware I’m doing so. Doing little things around the house that relieve pressure. When we are battling, we are in this together. My wife’s not battling infertility – we are battling infertility. It’s a team effort. We are in this together. RF: In the midst of your own challenge and the challenges your church faces everyday, how do you encourage them not to get discouraged when promises come to pass in someone else’s life but you’re still waiting? KH: I’m always reminded of Pastor Steven’s (Furtick) words: “Don’t compare your behind-the-scenes to someone else’s highlight reel!” The highlight reel is Facebook, Twitter, Instagram, Periscope, etc. But, what are others struggling with that they don’t want you to see? They may have a child, or a spouse, or blessed with a job that you think that you want, but they also have behind-the-scenes. They just haven’t told you about it. If you were to go through my social media platform, you would not know the struggles. Even on a campus level — people see the moments, but not the struggles. It’s death by comparison. Don’t be discouraged by a post that doesn’t tell the whole story. If someone receives a blessing, celebrate it! It’s their blessing, not yours. The comparison game is a slippery slope. Focus on what gives you joy and write them out. You’ll be surprised — you have more joys than struggles. We tend to focus more on the struggles than the joys. RF: What brings you joy being a part of Elevation Church family? KH: I want to thank Pastor Steven for the opportunity to serve. I appreciate the passion and consistency in pursuing the vision of people far away from God being raised to life in Christ! Pastor Steven has shared with all the campus pastors that this is not his vision, but our vision. As the Gaston campus, it is Elevation but its own feel and identity. It is a joy to see the growth and the love of God shared throughout all the campuses. RF: Where do you see your campus going in a year? KH: We’re believing God for 3,000 people. Right now, we are averaging 1,100. If God did it once, He can do it again. If I see in Acts 2:41, it can happen now. It is not out of the realm of God’s perspective. It will take work, prep, innovation, creativity, people and prayer. I want our campus to align with God’s will in every way. RF: Last question Ken. If you could talk to younger Ken, what would you say? KH: I would probably say — don’t make too many plans for yourself because God will change them. I went to school to be a basketball coach. I was one. I won 5 championships. I was successful (or what I thought was successful). As I look back, I learned so much in coaching that informs how I pastor and serve people. I think I would be a bit more generic and leave room for God to change my plans. Let God change your plans! I was stubborn especially since I was up for an Athletic Coordinator job. But, they went in another direction. Three days later, I received a notification from the Senior Pastor of my church inviting me to be the College Pastor. The rest is history. Let God change your plans. It’s my prayer that sharing the struggles helps others see that God has a plan for your life and He will accomplish it through you. 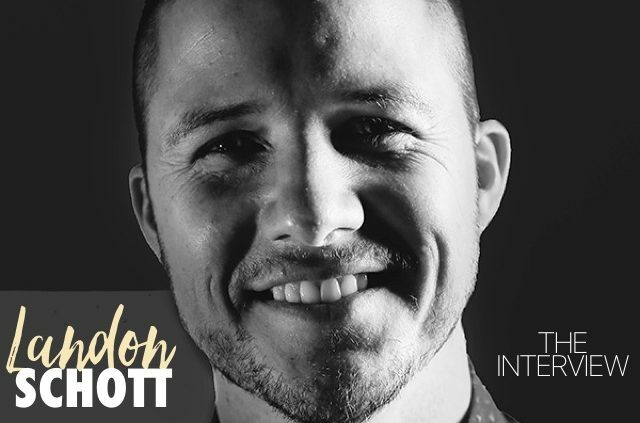 Ken Hester is the campus pastor at Elevation Church Gaston. An innovative and proven leader, Pastor Ken leads along with a team of devoted Christ-followers at Elevation Gaston to see people far away from God being raised to life in Christ. Ken studied Sports Administration from the University of North Carolina Chapel Hill. He is married to the love of his life, Ashley Hester. When a leader “has it”, you just know it. The “has it” quality includes their vision, character, integrity and how they value their team. When you are in conversation with them, you can immediately tell that their focus is on others and not themselves. Their words are seasoned with grace and convictions anchored in their deep-seeded values. Jonathan Burgio is one of those leaders. How would you characterize your transition as the new Executive Director of BASIC? A huge life change. Being in charge of an organization isn’t just a job title change or a responsibilities increase, it is a total life change. At the end of the day the success or failure of BASIC comes back to me. I love BASIC with all my heart and want the best for the organization so I take it with me wherever I go. This is no longer a 9-5 kind of job. Everything I see or do can become something I am doing for work. I love it so it is easy to get wrapped up in it and talk about it all day but now I am also in charge of it which makes it even easier to be in every aspect of my life. If you could describe this generation in one word, what would it be and why? New – Never before has there been such a demand to have new stuff constantly. The obvious is the demand on the newest technology, iPhones being sold out the minute they come out, or the constant change in clothing styles. We see this also in music, art, trends, etc. But there is more than that. There is a need to be constantly engaged, impressed, or whatever it is to have something new. I don’t say this to be negative it also has many benefits. For example, our technology is increasing at a bigger rate than ever because demand is higher than ever and so on. What is your ultimate prayer for this generation and the one to come? That the ones sharing Jesus would be better examples of who He is. From my interaction with you, I have witnessed first hand how you value teamwork. How has the BASIC College Ministry team added to your leadership? The BASIC staff is incredible so it makes leading them easy. The ability to allow others to express themselves and have ownership over their work has greatly effected the way I lead. Once I find someone and discover what their talents and abilities are and what they enjoy doing then I take a huge leap of faith and I trust them to do a great job in whatever I ask them to do. I do not micromanage them. I have learned I need to clarify exactly what we want but in the end they have a lot of control over how to get us there. I take the heat if something goes wrong but all in the effort to show them my trust and belief that they can create something better. We are raising up individuals who are mastering certain areas of ministry. None of us can do everything so I rely on others to do what I can’t do so I can do what I am good at. Where do you see BASIC in five years? I see BASIC reaching college students on 50 different campuses reaching thousands of students each week, and having 3 conferences in the fall and one huge conference in the Spring. What wakes you up in the morning? What do you go to bed thinking about? What wakes me up each day is thinking about what I can accomplish today to reach my goals in the future. I go to bed thinking about how to reach more people than we currently do. What do we need to change. By changing our approach what are we at risk to loose? How would describe yourself as a leader? Laid back, relational, and empowering. I try to stay relaxed and confident. I enjoy being friends with my co-workers and most importantly I go out of my way to empower others to not only do there jobs but to become better at it. What challenges have you faced that have caused you to draw even closer to Christ? The challenge I think about often is battling whether I am trying to reach more people to become famous or to make Jesus famous. I never want to be successful so I can be successful. I want to be successful in making Jesus’ name great. You recently married your wife Nicki. How has your marriage affected your leadership and service to the next generation? How would like to grow personally as you continue to serve others? I’d like to always help others to achieve their best. First I believe people will enjoy working with me more but second by doing this we will be able to do whatever we want to do better. MY CLOSING NOTE: I want to personally thank Jonathan for his leadership and brotherhood. I look forward to the BASIC Conference in New Jersey (BASICConJersey for short) on Friday-Saturday, November 21-22, 2014 at Christ Church in Rockaway, NJ! Get ready to hear more details soon! In the meantime, check out all the great things BASIC is doing at www.thebasicsite.org!